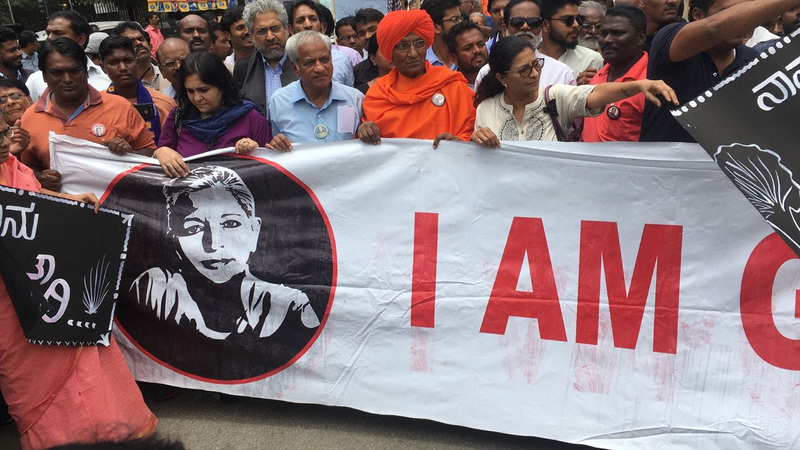 Hundreds of activists, journalists, civil society members as well as ordinary citizens gathered in Bangalore to pay homage to slain journalist Gauri Lankesh on her first death anniversary. 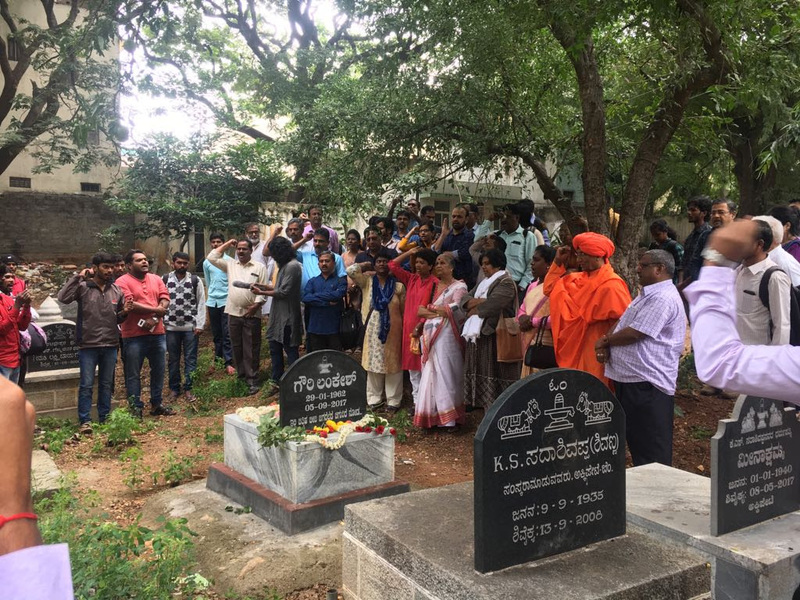 They also demanded that the Sanatan Sanstha, a right wing supremacist group whose members are allegedly involved in the conspiracy to murder Lankesh, be declared a terrorist organisation.The day began with activists and civil society members paying a visit to Gauri Lankesh’s grave where they renewed their commitment to soldier on in their quest to defend democracy. 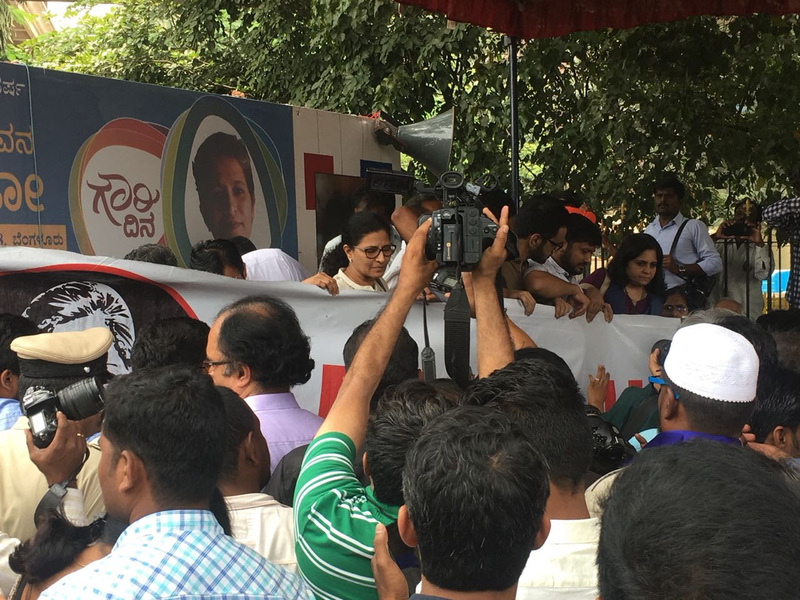 Following this a group led by Gauri Lankesh’s sister Kavitha, social activists Swami Agnivesh and Teesta Setalvad, youth leaders Kanhaiya Kumar and Umar Khalid, marched to the Raj Bhavan or Governor’s House in Bangalore demanding that the Sanatan Sanstha be declared a terrorist organisation. Hundreds of ordinary people also marched along demanding justice. 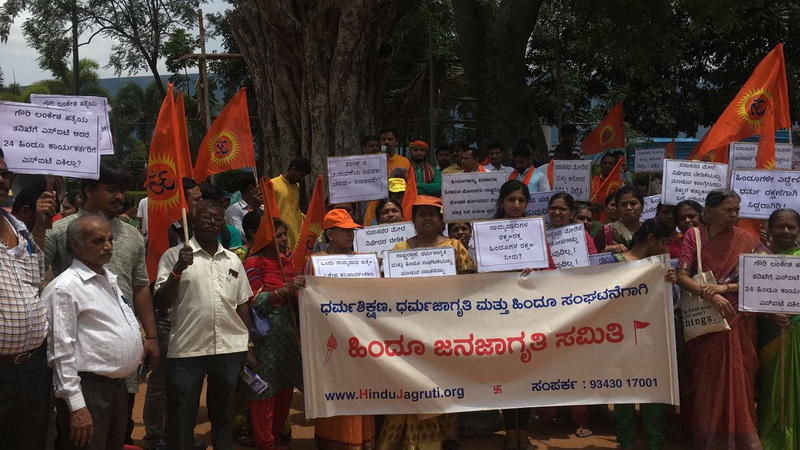 However, just meters from the Gauri Lankesh march, the Hindu Janajagruti Samiti also held a counter protest. They blamed the Congress party for framing ‘innocent’ Hindu men in the terror plot that was recently discovered by the Maharashtra ATS. One of the key accused in the Gauri Lankesh murder case allegedly has links to the Sanatan Sanstha. 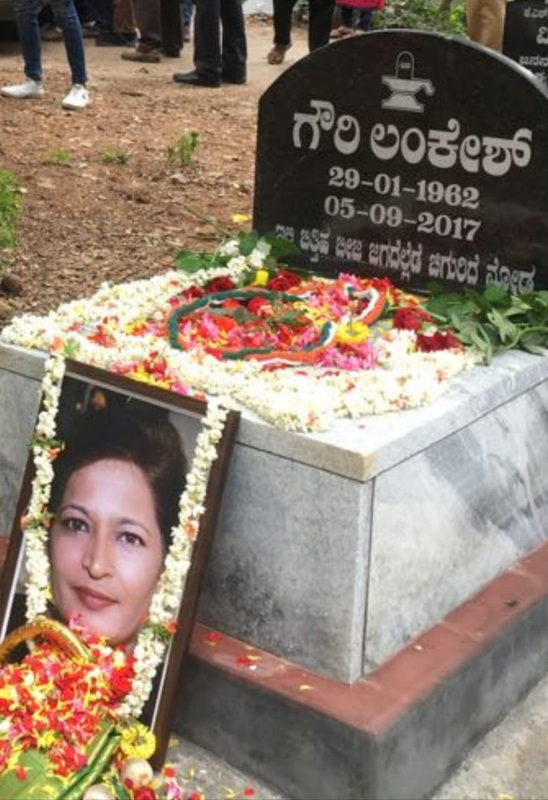 The role of several right wing supremacist groups in the murder of rationalists like Narendra Dabholkar, Govind Pansare and MM Kalburgi as well as journalist Gauri Lankesh has been becoming evident during the course of the investigation led by a Special Investigation Team of the Karnataka police. In fact, it was information shared by this SIT that helped the Maharashtra ATS foil a huge terror plot by Hindutva supremacist groups and unearth a cache of arms and explosives on August 11 this year. This was around the time of Independence Day and Bakr Eid and police say that the terror module had planned to strike Mumbai, Pune, Satara and Solapur. 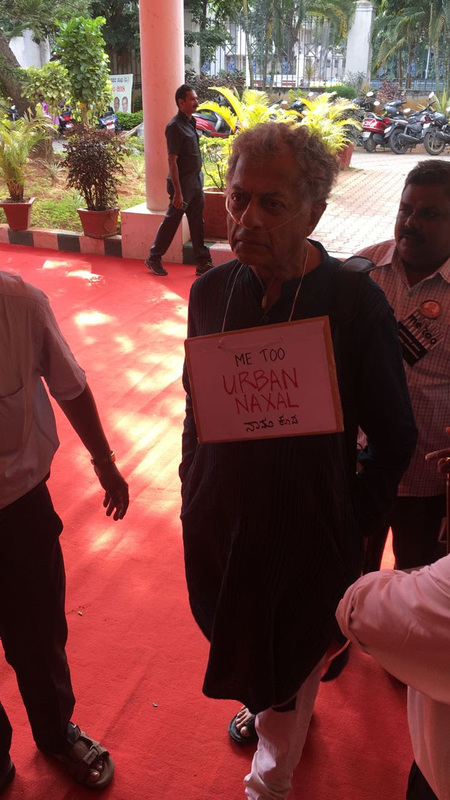 But undeterred by this brazen disrespect, the activists went ahead with the events planned for the day. 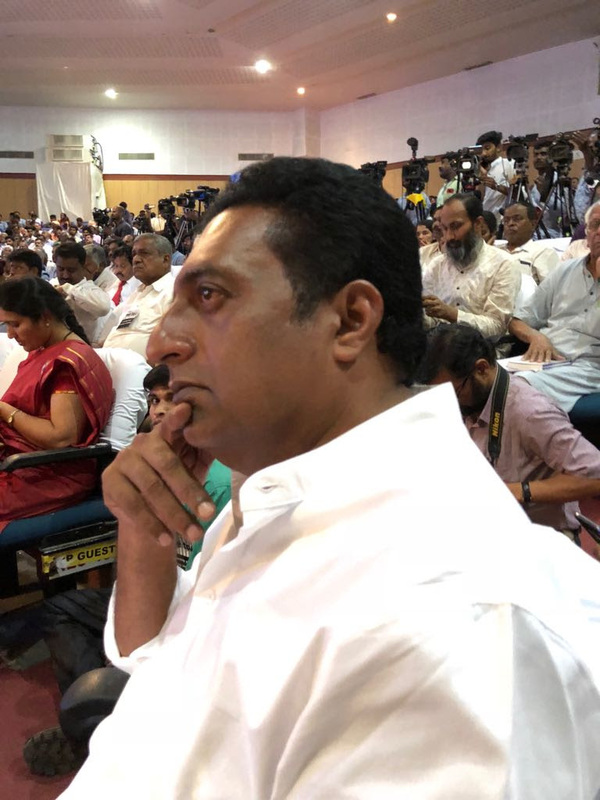 They gathered at the Jnana Jyothi Auditorium to not just pay homage to slain rationalists and dissenters but also discuss the way forward for Indian democracy. 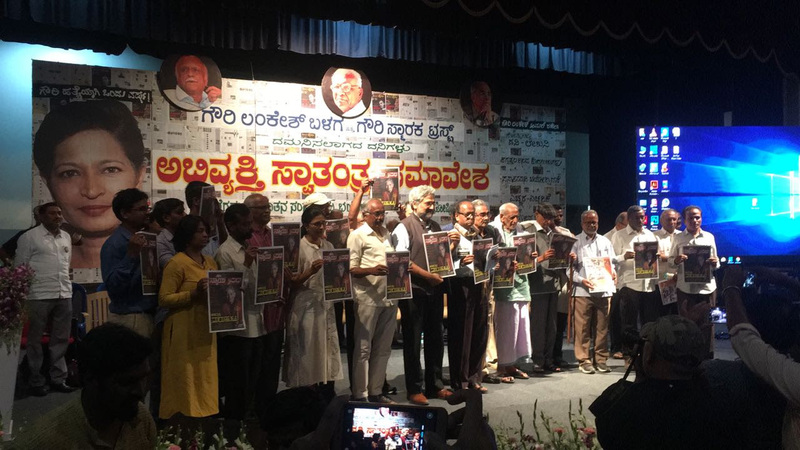 At the ceremony, Siddharth Varadrajan, Founding Editor, The Wire said, "The pledge that we took last year after Gauri’s death to continue with her work has been vindicated because the forces that killed Gauri and were behind the killing of Dabholkar, Pansare and Kalburgi have been attacking and intimidating anyone who dare to speak out. These dark forces can even abuse the law as was seen recently with the arrest of the five activists." 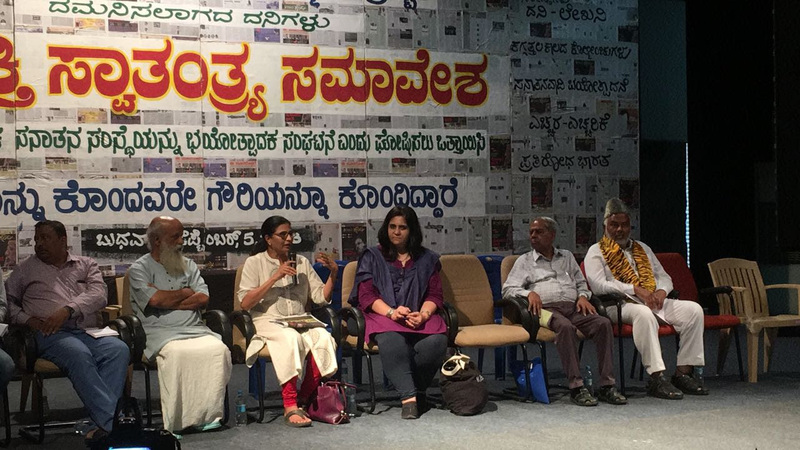 Gauri Lankesh's sister Kavitha quipped that her father would be the first to be labelled an "Urban Naxal", a term coined by right wing trolls to describe human rights activists. During a brief informal chat with Kavitha on stage, CJP Secretary Teesta Setalvad drew attention to the dark times in which we live. "What is worrying is that lawyers who fight for the most dispossessed are being targeted. What is also horrifying, is the words used by the police when they level accusations. It shows that the police don’t care," she said. A PEN Gauri Lankesh Award for Democratic Idealism was instituted to reward the efforts of an individual or organisation whose work reflects an abiding passion and courage towards advancing democratic culture in India. The award carries a cash prize of Rs 1 lakh.